"Do cats really need regular veterinary exams?" This is a question I get asked a lot. And there certainly are plenty of opinions and articles on both sides of the "debate." But there's at least one common thing both sides seem to agree on: vaccines. People talk and write about their necessity; the benefits or risks; or some other aspect of vaccines, vaccinations, or "shots." While I know that a conversation about vaccines is important, I believe that the specific focus on vaccines in the discussion about routine veterinary visits is, well… out of focus. And I believe that such a focus does a great disservice not just to your cat(s), but also to you. That's because there are many (often very passionate) thoughts and opinions about vaccines themselves, whether that's over the need, frequency, or other aspects of feline vaccines. Also, vaccines are never a "one-size-fits-all" topic. So, if you don't believe in vaccinating, then any article or discussion focusing on vaccines is going to immediately lose you. 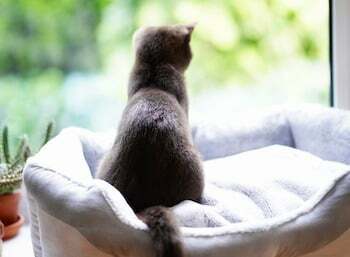 The problem is that these visits are about much more than just vaccines, and your cat might never receive the many other benefits of routine veterinary exams and care. I can assure you, as a veterinarian, that vet visits, check-ups, wellness exams, or whatever else you prefer to call them, truly are never just about vaccines. In fact, in a great many cases, they aren’t about vaccines at all!